It’s strange to think that fascism is getting so much attention these days. In our current political climate things are getting so divisive that it’s much too common to label people as either fascists on the right or I-don’t-know-whats on the left. But for a word that gets thrown around so much, maybe we should know precisely what it means before we fling it around so carelessly. Leon Trotsky’s book Fascism: What it is and How to Fight it is a small book (almost a pamphlet) collecting some of Trotsky’s writings on the subject. One would think Trotsky would be a reliable source to discuss this topic, but one of the main drawbacks of this book is that Trotsky seems to be addressing his peers and not the common person. As such he’s often using strong “revolutionary” jargon which I suppose is much more common in his circles. This makes these 54 pages a little harder to read than they should be. 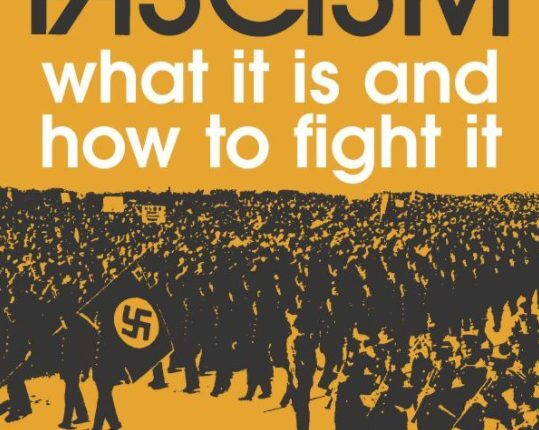 Fascism is divided into two sections: What it is, and How to fight it. The former part is a bit of a letdown as Trotsky characterizes Fascism as a phenomenon that started in Italy, is petty-bourgeois in nature and that it happens as a hijacking by the right when the left is unable to fully take power in a revolution. What Trotsky does not do is discuss characteristics of fascism specifically, what are some of its goals, what are its policies, and how are they different from communism. A short and straightforward book. Flawed but still valuable.